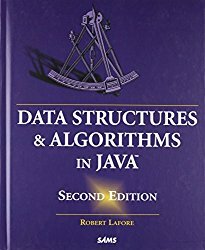 Data Structure is a particular arrangement of data used by computer programs to bring efficiency in execution. There are many types of data structures which can be broadly classified into linear or non-linear data structures. The linear data structures are array, linked-lists, etc., and non-linear data structures are a tree, graph and so on. There is no prerequisite to learn from this tutorial. But some experience with programming languages such as C/C++ can be helpful. This tutorial is intended for computer science students, programmers or professionals who want to refresh their basics and computer science teachers interested in learning concepts of a data structure. The data structure tutorial is divided into several topics and each topic contains one or more lessons which you can read. Practice examples wherever possible because it will reinforce your learning. Here is the list of data structure topics, you can start reading from the top and then move to advanced topics. Learning become efficient when you have the correct books with you. Make a book an alternative source of knowledge because it is not possible to sit in front of computer all the time. Also, books comes with several examples and practice problems. Note:- We earn a small commission for each book that you purchase.